Author Lori Tsugawa Whaley will present two discussions on Chiune Sugihara, a.k.a. “the Japanese Schindler,” and his relationship to the ancient samurai principles known as a code of bushido; the way of the warrior. Chiune Sugihara was born on Jan. 1, 1900. As a descendent of the samurai, he learned the principles of integrity, honor, and benevolence. However, it is the bushido principle of courage that characterizes his life. Sugihara’s story of courage was the inspiration for Whaley‘s book “The Courage of a Samurai,” to be re-released as “Seven Samurai Secrets of Success” through Tuttle Publishing in latter 2019. The book outlines the bushido principles providing modern-day examples of Japanese and Japanese Americans who exemplify these principles. Whaley included ganbaru as a tribute to her dear late mother, who taught her to do her best and never give up. Whaley has traveled to Japan numerous times and embraces her Japanese heritage. She is an inspirational speaker, life coach, Japanese folk tales storyteller, chef, wife, mother, and grandmother. She is dedicating her life to share the code of bushido, and encouraging others to do the same. “The world is waiting for you to unveil your unique gifts and talents…what are you waiting for?” she says. Both events were organized by Mitchell Matsumura and Sansei Legacy in conjunction with GVJCI and Union Church of Los Angeles. For more information, visit Sansei Legacy on Facebook. 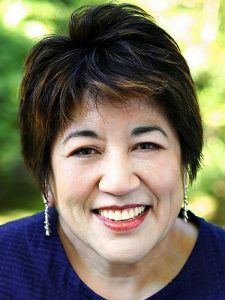 A third-generation Japanese American and a descendant of the samurai warrior, Lori Tsugawa Whaley is on a mission to empower others to reach their God-given potential, no matter their path, heritage, or circumstances. She captivates and compels individuals to embrace their talents and life experiences to live life to the fullest. Growing up in a predominantly Caucasian rural farming community in southwestern Washington, she struggled with being different. She channeled her energies in a tireless quest to learn about her Japanese heritage. The discovery of the ancient Japanese warrior code of conduct known as bushido became her guide. Today, she empowers others to live by these same principles of courage, integrity, benevolence, respect, honesty, honor, and loyalty that guided the samurai. Her resolve has been strongly tested, having endured the painstaking recovery from two auto accidents that resulted in traumatic brain injury (TBI), and chronic physical pain. This journey to recovery is the basis for her compassion to guide others in overcoming their own limiting circumstances. Whaley graduated with honors from Portland State University with a bachelor’s degree in art. She is a member of the Japanese American Citizen League, Japan-America Society of Washington, Japanese Cultural and Community Center of Washington, Toastmasters International, and Association of Women-Owned Businesses. A Pacific Northwest native, she has been married for over 40 years and resides in a Japanese-style home. She and her husband have two grown children and five grandchildren. Her book became an Amazon International eBook Best Seller in October 2016. It explores the code of bushido, honors Japanese and Japanese Americans who exemplify this code, and shows us how applicable it is for our lives today. In September 20218, Whaley signed a contract with Tuttle Publishing to release a new edition in mid-2019 with new title and new cover. For more information, email [email protected] or visit www.LoriWhaley.com or https://www.facebook.com/LoriTsugawaWhaleyFanPage/. Following the German invasion of Poland on Sept. 1, 1939, hundreds of thousands of Jews and other Polish citizens fled eastward ahead of the advancing German army; many refugees found at least temporary safety in Lithuania. Options for escape were limited and required diplomatic visas to cross international borders. One route was through Asia using a combination of permits issued by foreign envoys responding to the refugee crisis: a bogus visa for entrance to the Dutch Caribbean island of Curaçao and a visa for transit through Japan. One such envoy was Chiune Sugihara, the first Japanese diplomat posted in Lithuania. In the absence of clear instructions from his government in Tokyo, Sugihara granted 10-day visas to Japan to hundreds of refugees who held Curaçao destination visas. After issuing some 1,800 visas, Sugihara finally received a response to his cables alerting the Foreign Ministry in Tokyo of the situation in Lithuania. The Foreign Ministry reported that individuals with visas headed for the U.S. and Canada had arrived in Japan without money or final destination visas. 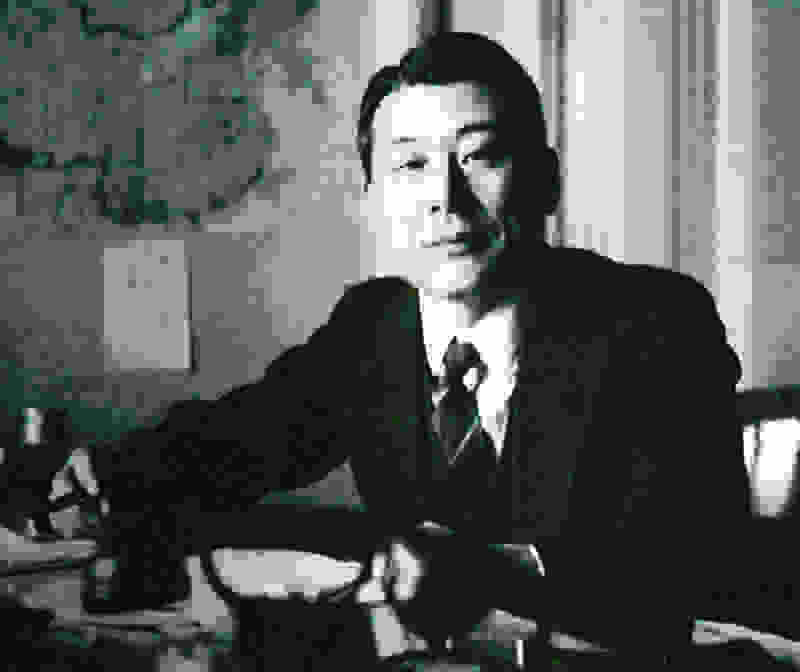 In his response, Sugihara admitted to issuing visas to people who had not completed all arrangements for destination visas, explaining that Japan was the only transit country available for going in the direction of the U.S., and his visas were needed to leave the Soviet Union. By the time the Soviets ordered all diplomatic consulates closed, in late August 1940, Sugihara had saved thousands of Jews over the course of just a few weeks. Because of his efforts, Yad Vashem awarded him the title of “Righteous Among the Nations” in 1984. “Also, I felt at that time that the Japanese government did not have any uniform opinion in Tokyo. Some Japanese military leaders were just scared because of the pressure from the Nazis; while other officials in the Home Ministry were simply ambivalent. People in Tokyo were not united. I felt it silly to deal with them. So, I made up my mind not to wait for their reply.